We will always need coal, even in a future where all our power is generated from renewable sources. When you mention coal to someone, it’s usually a safe bet that they assume that you mean thermal coal; the kind of coal that is burned en masse to boil water, turn steam turbines, and generate power. Much has been written about the need to reduce our reliance on thermal coal, but regardless of what your beliefs on this are, it is hard to argue against the bright future of the other type of coal: coking coal. Coking coal is currently trading at roughly twice the price of thermal coal, and coking coal producers are therefore enjoying high margins, and in many cases, strong profits. Coking coal is an essential component in the production of steel, and this is why demand for it is likely to continue to flourish. Global steel production is booming thanks to ongoing development in Asia, particularly from China and India, and Australia is well placed to capitalise on the surging demand for steel’s raw ingredients. According to the World Steel Association, global steel production has roughly doubled over the past 20 years, and is expected to grow further. Despite, China’s reputation as the most important customer for Australian minerals, it is actually India that is scheduled to be the biggest customer for Australian coking coal according to Vivek Dhar, mining and energy analyst at the Commonwealth Bank. “India’s promising steel production growth offers more opportunities in coking coal than iron ore,” he said. “India has enough local iron ore to help expand domestic steel output, which is growing at a world-leading pace. Freight rail firm Aurizon agrees, stating that Australia has one of the lowest freight costs from mine mouth to customers in Asia compared to competing seaborne coking coal suppliers. It is against this backdrop that coking coal prices are rising. After trading below $US100/t for parts of 2016, prices are now trading near $US200/t. 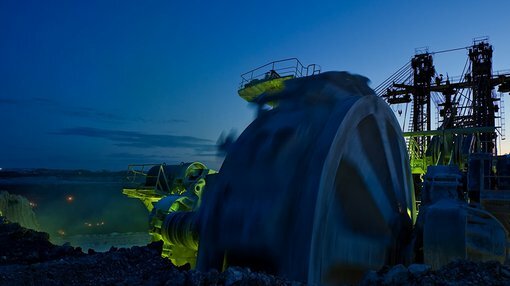 Indeed, early this week, Macquarie bank lifted its Q1 and Q2 2018 price forecasts for coking coal by 32 and 40 percent respectively, which they say is due to Chinese re-stocking and a tightening coal supply. This may be why Anglo American has reversed its decision to divest from Australian coking coal, and why Peabody energy’s Australian coal business (predominantly coking coal) is the largest profit contributor to its bottom line. All in all, the fundamentals are looking great for the Australian coking coal industry.